Earlier today, LG announced its flagship phone, the LG G6 in India at Rs. 51,990. The phone is launched to compete with the Samsung’s Galaxy S8 and S8+ in every aspect. Not to anyone’s surprise, LG has partnered with the new telecom operator Reliance Jio to offer free additional bonus data for the customers who purchase the LG G6 in India. Users who grab an LG G6 via Amazon India or any other retail store in India and use their Reliance Jio 4G SIM card on the G6 will get additional 100GB of 4G data for ten months until March 2018. LG claims that users have to insert their 4G SIM card in their newly purchased G6 and by doing that the offer will be activated on the inserted Jio SIM card. Also, customers have to use the same Jio SIM card on the same G6 as LG and Jio will give the free data based on the IMEI number. This free data will be allotted to customers every month with the recharge of Rs. 309 plan. So, every month, the owners of LG G6 will get additional 10GB data for ten months when compared to the average Rs. 309 plan users, who get just 1GB per day. Mostly, Jio will recharge with a data booster plan on the inserted Jio number. Samsung is also offering similar benefits for the customers who get a new Galaxy S8 or S8+, but Samsung’s offer is a little bit better than the LG’s. Reliance Jio is giving 448GB of free data with the monthly recharge plan of Rs. 309 that converts to 2GB data per day for eight months. A customer has to recharge with Rs. 309 plan for eight months to enjoy the free 4G data. Normally, Jio users will get 1GB data per day with the Rs. 309 plan, but with the Galaxy S8 or S8+, users will get 2GB data per day for eight months. As mentioned earlier, the LG G6 is priced at Rs. 51,990 in India and will be up for sale from tomorrow in the country. It has a 5.7-inch QHD+ display, same as the Galaxy S8 series and is powered by the Qualcomm Snapdragon 821 chipset with 4GB of RAM and 64GB of internal storage. The phone has got two 13MP sensors at the rear side along with a 5MP front-facing camera. The G6 is armed with a 3300mAh battery and runs Android Nougat based LG UX out-of-the-box. 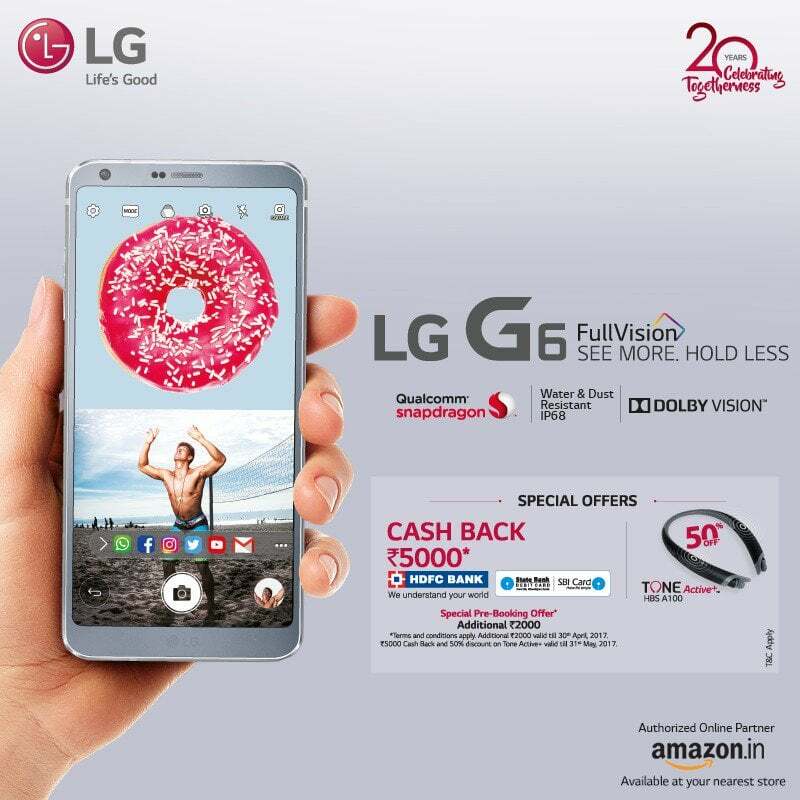 As a part of the launch offer, LG is providing a flat Rs. 10,000 cashback for the holders of HDFC and SBI debit card, making the device available for just Rs. 41,990 for them. At that price, the LG G6 is a great deal, even better than the OnePlus 3T. Why jio 30mhz @ band 40 comes from a single cell id instead when I download a file bandwidth changes each sec from 20mhz to 10mhz and wise versa???? Anyone start receiving 30mhz bandwidth from band 40???? Network Signal Guru app for andriod.. need root. Its only possible with LTE Adavanced(carier aggregation). Jio yet to start LTE-A… Your mobile handset should support this feature. 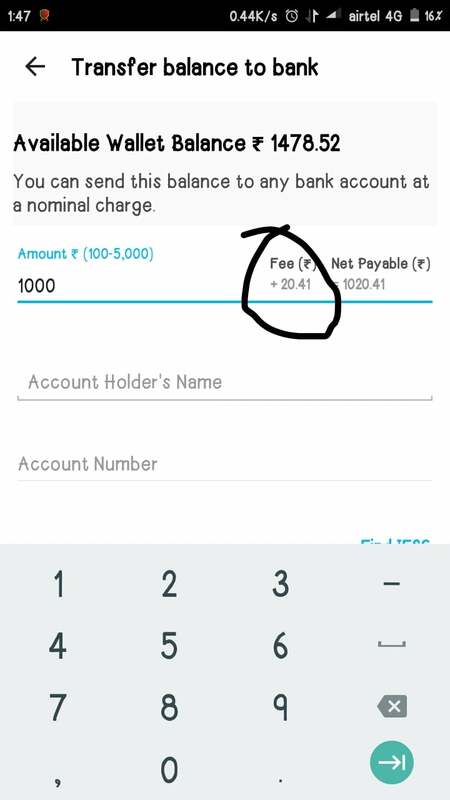 Off topic:- paytm has started charging for wallet transfer to bank. Don’t you pay for IMPS, NEFT and RTGS in banks?. Whats wrong in paytm charging?.